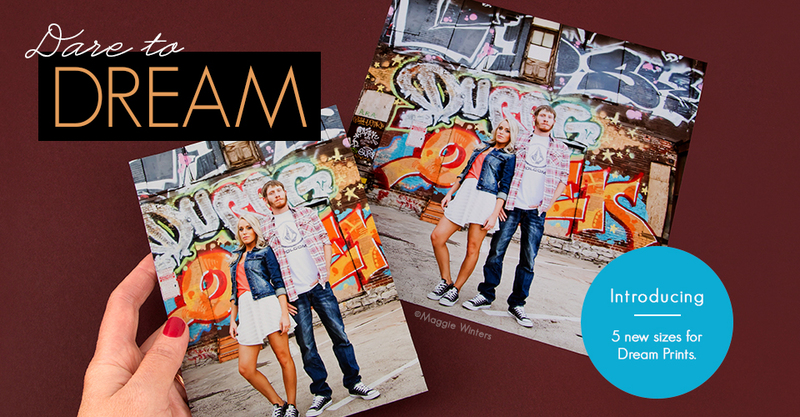 We are pleased to announce that we have added 5 new popular sizes to Dream Prints (5×7, 5×10, 6×9, 7×10 and 8×8). Created with a revolutionary new printing process, Dream Prints offer an enhanced color range, extra smooth gradations and crisper detail than ever before. We’ve also added a Sample Kit to Billable Supplies so you can experience Dream Prints on all five paper types!